Hay Bro Sis...Distributor of Mitsubishi vehicles in Indonesia, PT Krama Yudha Tiga Berlian Motors (KTB), presenting their latest models All New Triton are equipped with a number of updates in order to improve comfort berkendaranya. It was announced by the national racer who is also ambassador of Mitsubishi products, Rifat Sungkar, on the sidelines of driving safety training clinic in London on Tuesday. 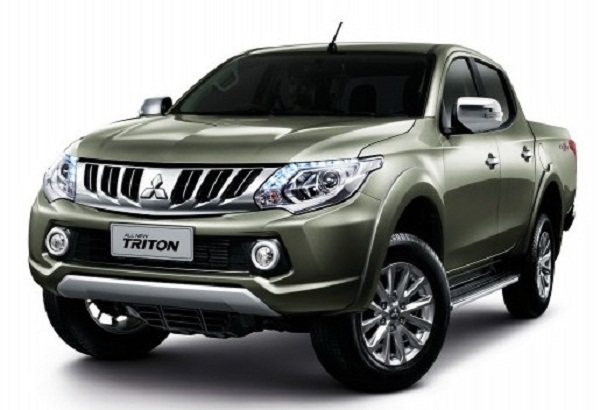 Rifat highlights one of the technology, he called to make the all-new Triton was several steps ahead of its competitors, the crawling speed. "This speed crawling feature highly advanced features, so when the thought passed through heavy duty track position Drive 4WD Low (4L) release enough gas, clutch and brakes the car will run very slowly on the road to climb," he said. It was proven in clinical sessions of training, the trajectory arranged with various obstacles offroad terrain, including uphill road with the degree of slope of 45 degrees. When crossing the hurdle crawling speed feature successfully brought crashing car uphill and preparing the next hurdle. Rifat said that the feature is excellent for driving safety and avoid things that are not desirable. "This third order consumers who mostly use for companies such as mine could have the security and comfort to operate all-new Triton," he said. Overall Rifat rate, all-new Triton whose predecessor is known resilient presented with a variety of advantages of its predecessor and added that it becomes a better product again.